Karlsson Rixon inquire into the performative aspects of identity, and explore photography’s ability to visualize, as well as produce, community. Their work is permeated by a low-key political activism that in a respectful and methodical way encourages the viewer to reflect on their own position. Traces of Vulnerable Existence includes two separate works, both depicting places where people, for various reasons, are camping as refuge. The exhibition also features an experimental documentary by Los Angeles based filmmaker Adele Horne. In the first room of the gallery one is met by the series At the Time of the Third Reading / Vid tiden för den tredje läsningen / Во время третьего чтения. 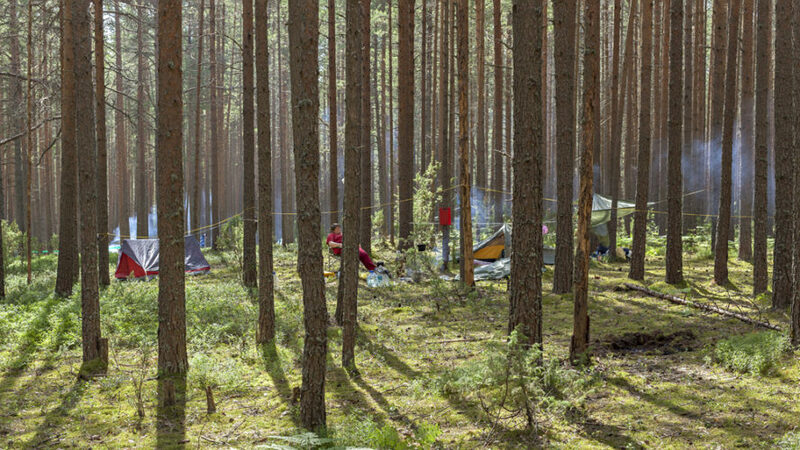 The images were taken at a lesbian summer camp in Russia in June 2013, where about sixty people had gathered to celebrate the tenth anniversary of the camp. At the same time, but in another place – the Russian Duma – the third, and final, reading of a bill was implemented, which suggested a prohibition of the dissemination of information to minors about so-called “non-traditional sexual orientation”. The proposal, which a few weeks later was approved and signed by President Putin, meant that many of Russia’s lgbtq people even more were stigmatised, but also that new activist movements emerged. At the lesbian camp, founder Elena Botsman explains that she will not organize the camp again, as she has concerns about the participants safety. Karlsson Rixon’s work forms a significant historical testimony from this tenth and final camp. Their choice to photograph at a distance is a way of depicting a friendly community that merely certain people have access to, as well as performing an artistic strategy in order to protect the identity of the portrayed. In the gallery’s inner room one finds large black and white panoramas, photographed vertically. The title of the work Traces of Vulnerable Existence has also lent its name to the exhibition as a whole. In 2017, Karlsson Rixon spent three months in Los Angeles and did several bike rides along the river leading through the city. Usually, Los Angeles River is a wide and dried out cement canal, but after many years of drought in California the rain finally came, and January became the rainiest month in more than one hundred years. This contributed to ease the devastating drought, but the city’s most vulnerable, the homeless, were harshly affected. In Los Angeles, homelessness has increased dramatically since a few years back and a significant part of the population lacks a permanent residence. In Karlsson Rixon’s photographs one finds traces of the devastation brought on by the flooding as well as the temporary shelters of homeless people. As in the work At the Time of the Third Reading, the photographs are taken at a distance and a more comprehensive view is offered. With a call to scrutinize one’s own gaze, they repeat similar motives over and over, as to make sure one has really looked. Included in Traces of Vulnerable Existence is also the work Cool but not too Cold by Adele Horne. The film is a poetic reflection where we get to meet ten people who, like the film maker herself, have been in conflict with their landlords and thereby threatened to be evicted from their homes. The rapidly increasing population has led to a harsher housing market in Los Angeles and many of the private landlords are looking for opportunities to raise the rent. With the participants’ poignant stories, and through staged portraits made in collaboration with a theatre pedagogue, the film gives a perspective on what it might entail to be threatened to lose one’s home. The film illuminates the thin line that lies between having a home and being homeless. Karlsson Rixon (b. 1962) belongs to a generation of conceptual photographers that emerged in the early 1990’s. With a feminist imagery, they contributed to making photography a part of the Swedish contemporary art scene. They were previously a professor at the School of Photography at University of Gothenburg, and have a doctoral degree in photography from Valand Academy (2016). Currently, Karlsson Rixon is working with Mikela Lundahl Hero, historian of ideas, on a research project that takes its point of departure in locations where the presence of migrant people and temporary shelters are palpable. The works in Traces of Vulnerable Existence are part of this investigation. Adele Horne (b. 1969) makes observational, essayistic, and experimental films and videos. Her work has been shown internationally at venues including the Museum of Modern Art’s Documentary Fortnight, the Rotterdam International Film Festival, 25 fps Festival, Courtisane, Morelia International Film Festival, Los Angeles FilmForum, and the Flaherty Film Seminar. Horne’s film and videos have won prizes at the Independent Spirit Awards, the Images Festival, Ann Arbor Film Festival, Chicago Underground Film Festival, and has been broadcast on P.O.V. She has received grants from the Canada Council for the Arts and the California Council for the Humanities. Adele taught filmmaking at California Institute of the Arts 2005-2017 and now lives and works in Northern California. The presentation by Karlsson Rixon and Anurada Vikram is held in collaboration with Iaspis, the Swedish Arts Grants Committee’s International Programme for Visual and Applied Artists. 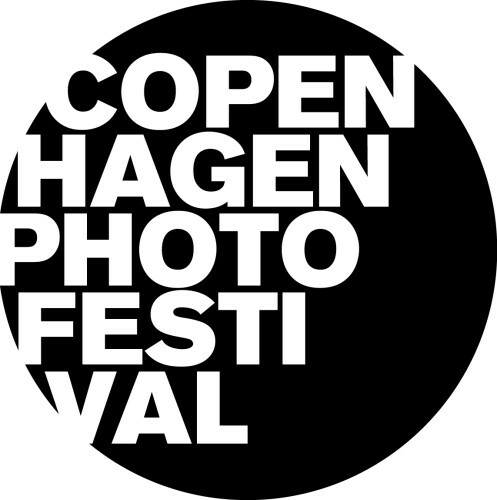 Traces of Vulnerable Existence is part of Copenhagen Photo Festival.